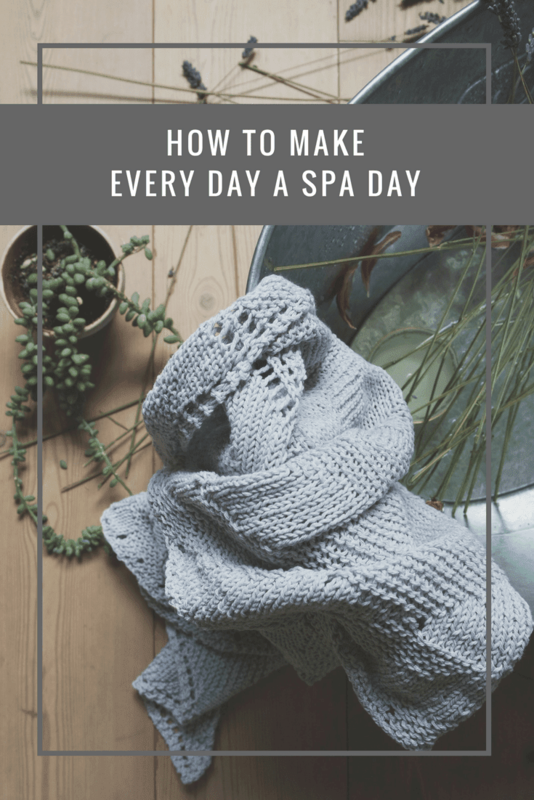 How to make every day a spa day – you deserve it! When was the last time you went to the spa? Had a facial, a body treatment? Or had a soak in a hot tub? For me, it was many moons ago! Being a busy parent often means we have to budget not only our money but our time as well, and it can be difficult to find five minutes peace, let alone an entire afternoon! So, why not bring a spa experience to you? It’s a lot easier than you think, and following these quick and simple steps, won’t break the bank either! Take a look, go on – treat yourself, you deserve it! Ok, so not everyone has the budget to change up their bathroom flooring, however, if your bathroom is a relatively small space, then hear me out! 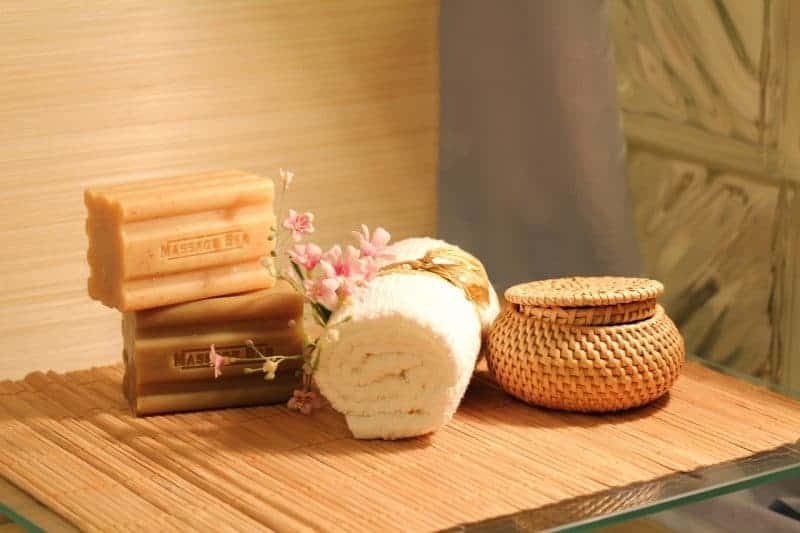 To make your home spa feel a little more authentic then consider replacing your bathroom floor with some faux wood tiles – which is a lot cheaper than solid wood! If you don’t fancy pulling up your current bathroom floor, then why not update the tiles around your tub or shower? A warm, wooden style tile will instantly give your bathroom a warm, cosy feeling, much like a spa! You might not notice it, but most spas are coloured or painted with earthy tones. They’re colours that are close to nature and they evoke a sense of calm and naturality- something you just don’t get with a classic white bathroom. You can purchase paint specifically designed for bathrooms, making it steam and humidity resistant. Think soothing beiges, pale greens and even a light grey. You don’t usually find a used razor on the side of the hot tub at a spa, do you? Or a couple of the kid’s toys joining you in the water and floating by…! To add to a sense of serenity and calm, you must declutter your bathroom. A mean feat when your bathroom is a busy place in a family home, but with some clever storage ideas, you can keep all your toiletries and the kid’s bits and bobs out of sight at least! Think wicker/woven storage baskets that match your colour scheme. Or some wooden style shelving. If you still need somewhere to store those cotton wool balls and makeup pads, then look at some stylish glass storage jars. If you’re on a low budget, then don’t worry – there are still ways you can transform your tired, busy bathroom into a little piece of heaven that’s just for you. Lighting some scented candles or investing in some oil diffusers is a great place to start. Treat yourself to some new, thick, fluffy towels – just don’t let the kids (or your partner) get their sticky hands on them! Get yourself some invigorating shower gels and bath soaks, beautiful bath bombs and experiment with mint in the morning or lavender at night. Treat yourself and every sense; sight, sound, touch & taste (who says you can’t have a glass of something in the tub? ).